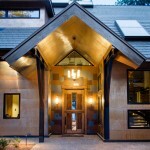 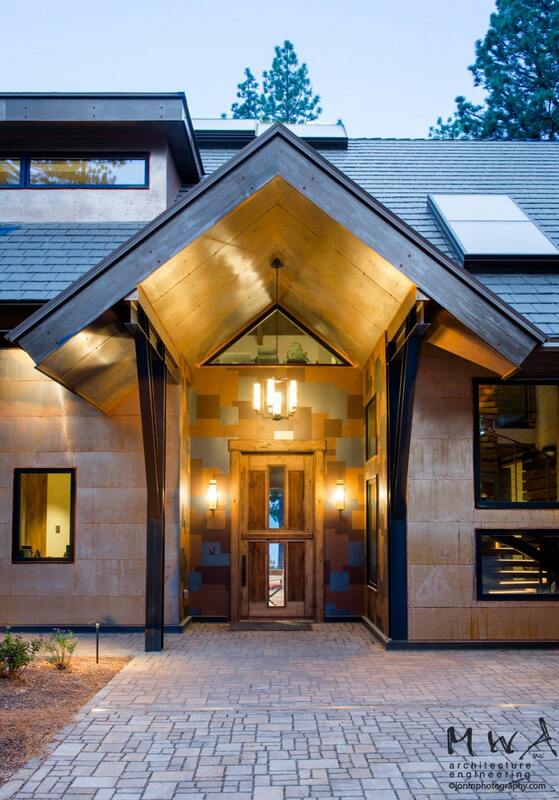 This 7400 SF residence is another impressive architectural design by Kristi Thompson. 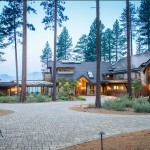 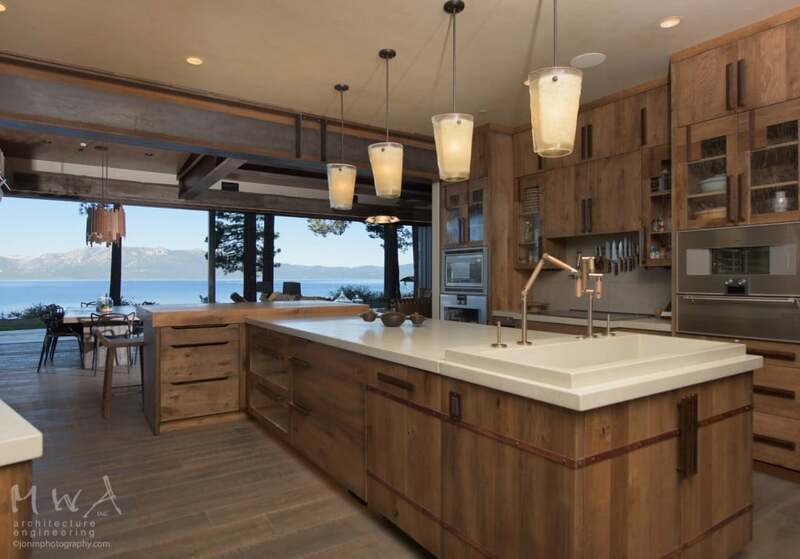 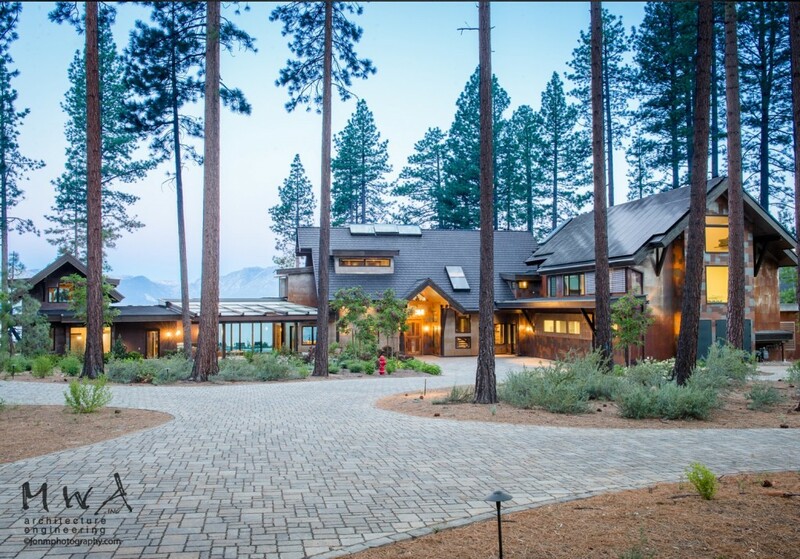 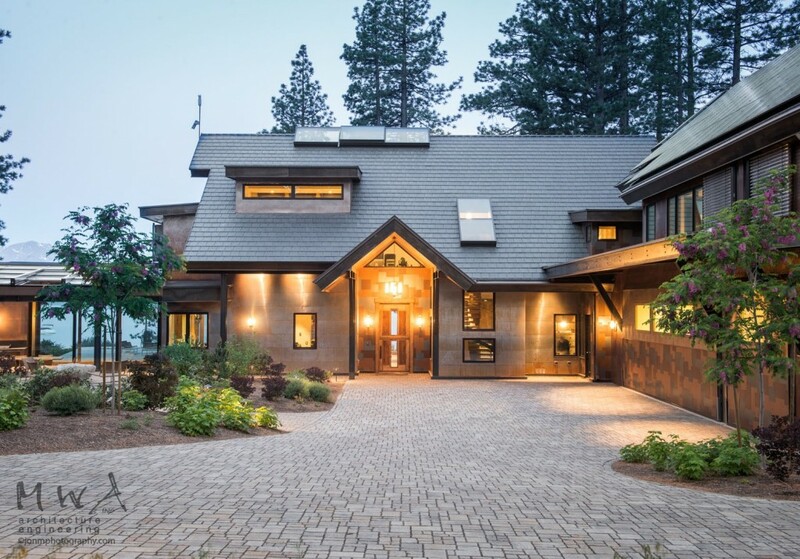 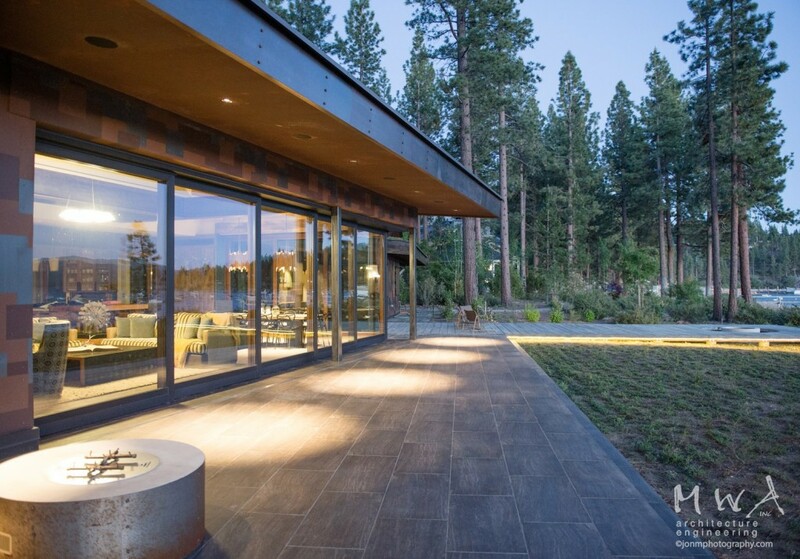 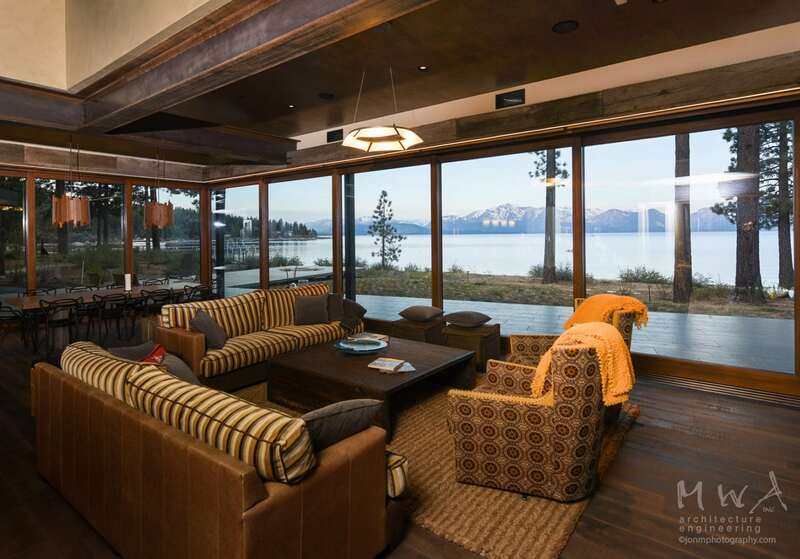 Built by Gardner Construction, it boasts a 10′ x 32′ x 48′ Corner Meet Lift & Slide Exterior Pocket Door unit that is the focal point of this South Shore Lake Tahoe Custom Home. 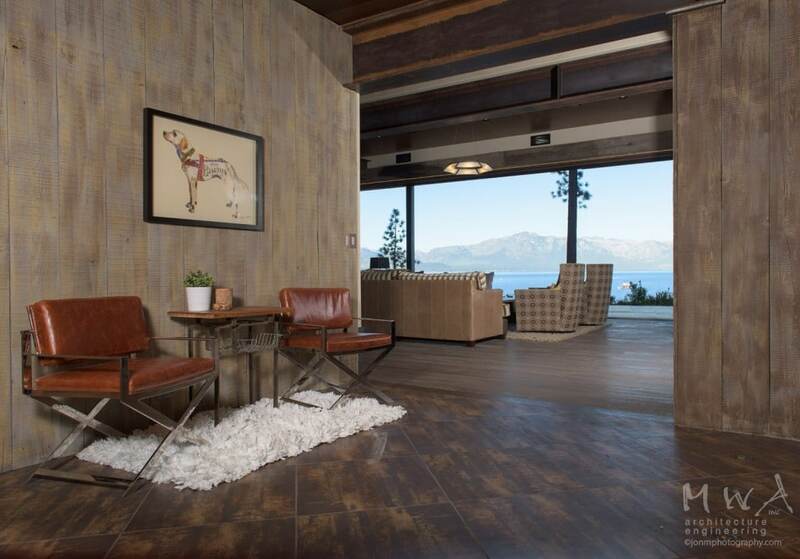 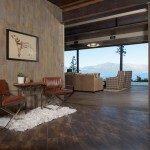 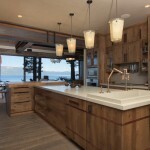 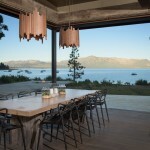 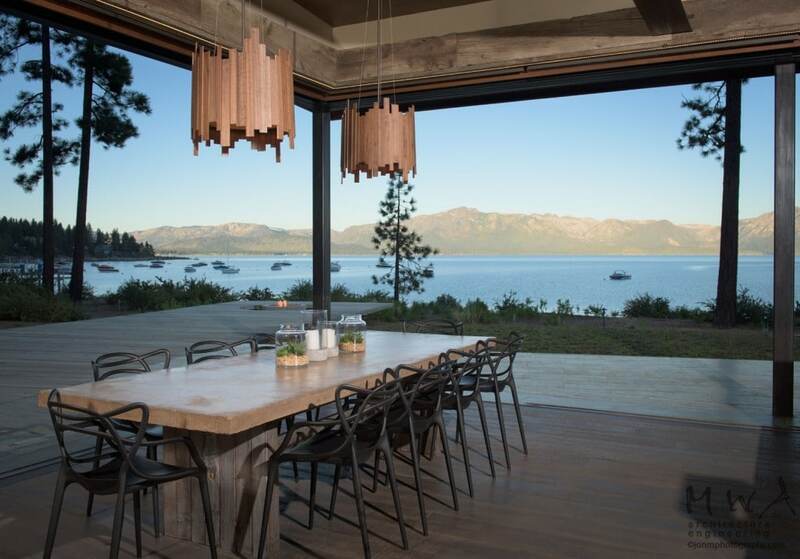 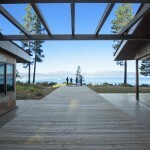 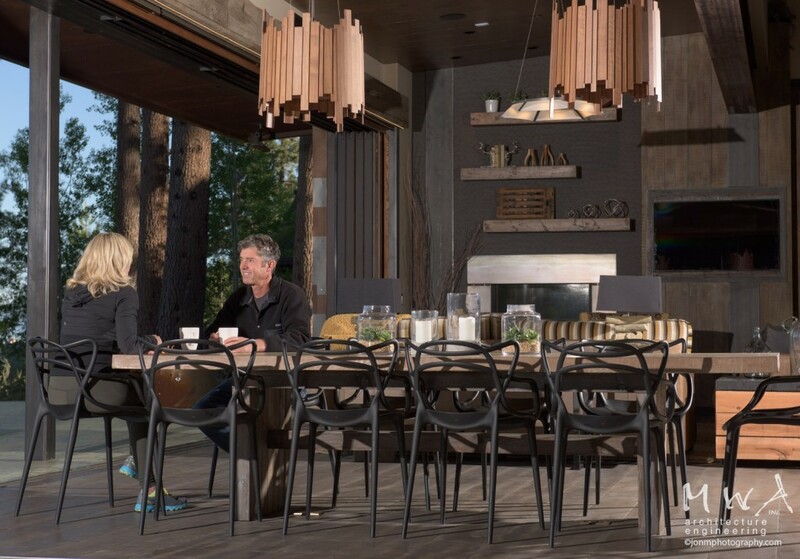 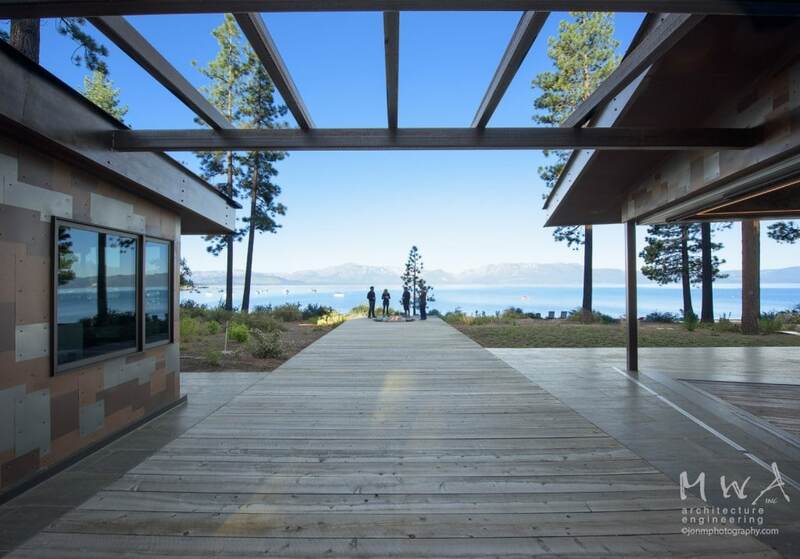 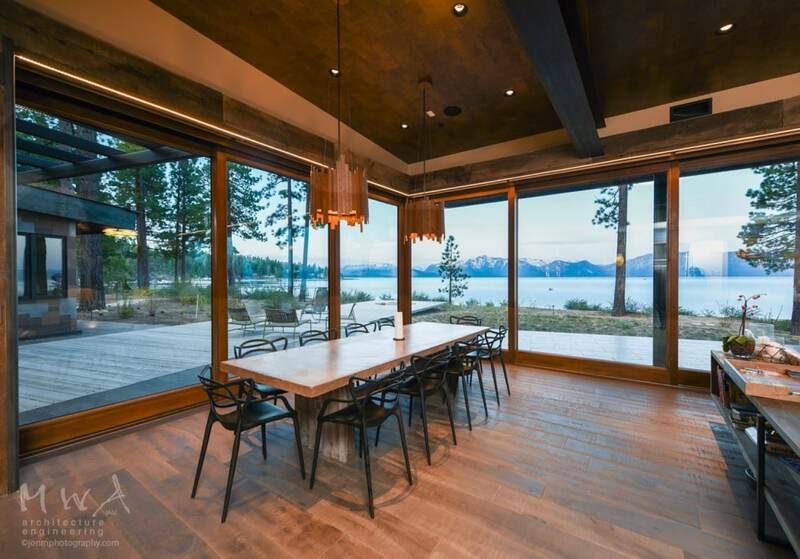 It allows the homeowner to look out over the beautiful shores of Lake Tahoe as well as capture the scenic views of the Sierra Nevada mountains. 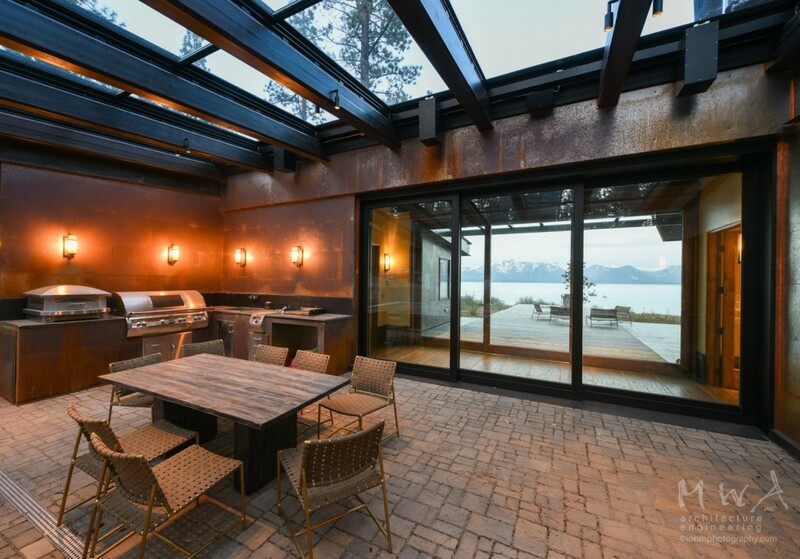 Similar to the other two Lift & Slide pocket door units, this unit is constructed using CVG (clear vertical grain) Douglas Fur with dark bronze aluminum clad on the exteriors. 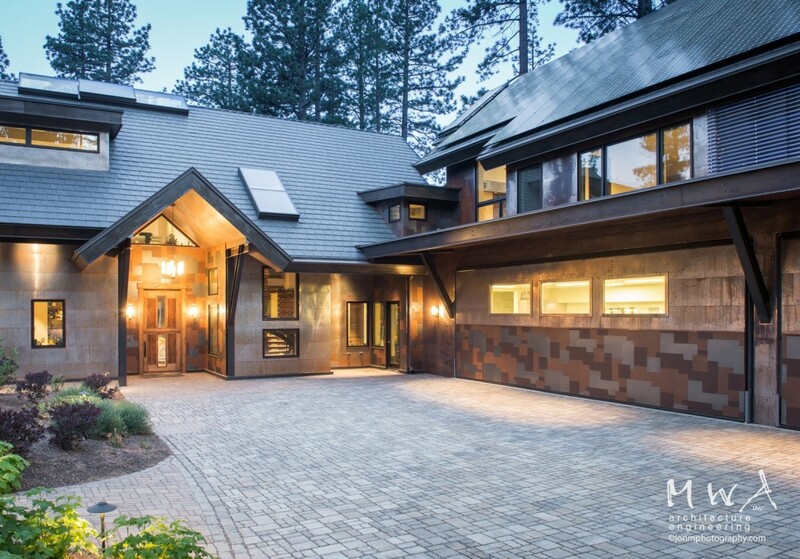 In addition, to enhance the architects design, we’ve installed these units using the FASTrack system which gives a clean and unencumbered look and appearance when in both opened and closed positions. 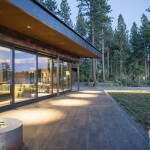 Each of the 8 panels are 96″ wide and 120″ tall and when opened all slide out of view and into pockets.